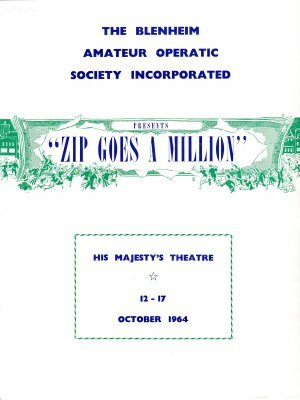 Abstract The Blenheim Amateur Operatic Society Incorporated presents Zip goes a Million at His Majesty's Theatre on 12-17 October 1964. Inside is a theatre staff programme with Jackie and J. Western circled.